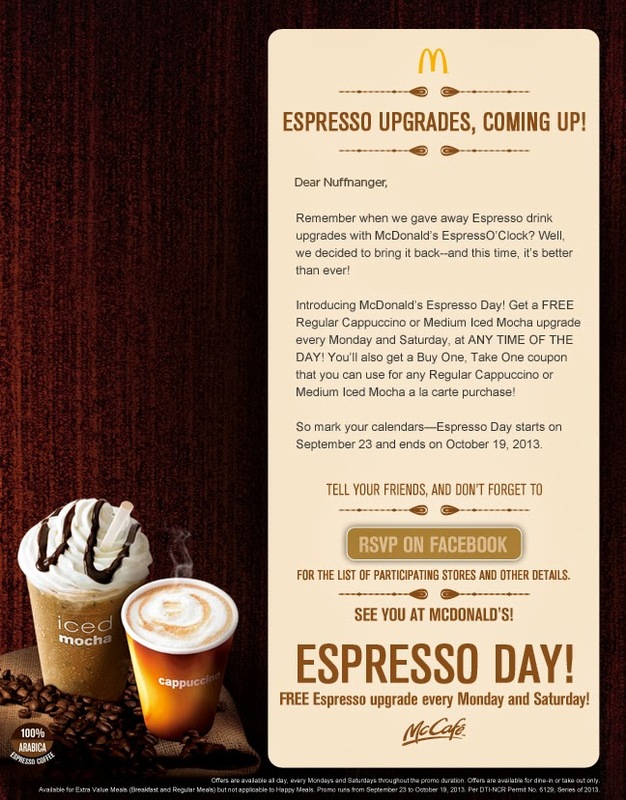 Its espresso day at McDonald’s every Monday and Saturday from September 23 to October 19, 2013! You get a free upgrade of a regular cappuccino or a medium iced mocha any time of the day. You also get a buy one take one coupon which you can use for the same items on your next purchase.